Neil Gaiman. Brandon Sanderson. Tracy Hickman. Peter David. Me. These are just some of the authors included in StoryBundle’s “Truly Epic Fantasy Bundle.” All these books can be yours for a price you name, all DRM-free, with the option to donate a portion of your purchase to The Challenger Center. 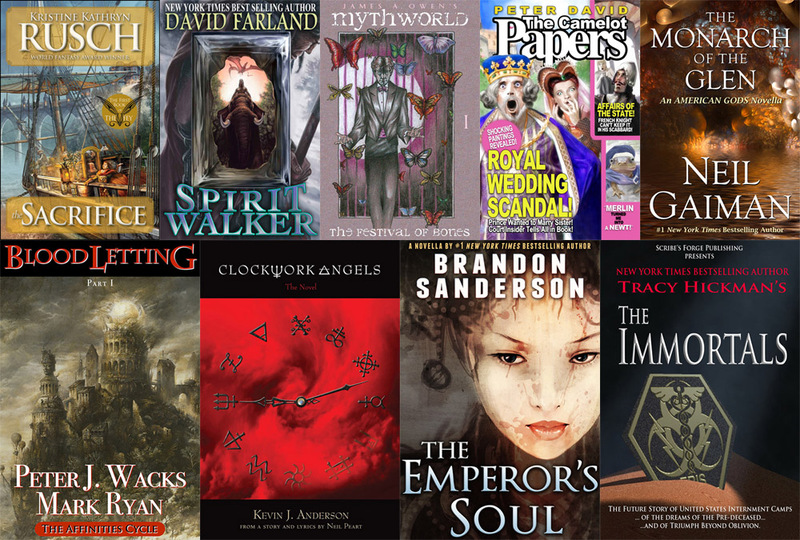 “At StoryBundle, we’ve had the chance to work with a few wonderful curators over the years, and one of our favorites—Kevin J. Anderson—has outdone himself in assembling our Truly Epic Fantasy Bundle. We can honestly say it’s most likely our best bundle yet. I’ve participated in several book bundles over the past couple of years-horror, science fiction, fantasy-but I’ve never been so excited about such an awesome batch of titles. The new “truly epic fantasy bundle” that debuts today from StoryBundle is a veritable Who’s Who of bestselling modern fantasy, featuring works by Neil Gaiman (an original American Gods novella), Brandon Sanderson, David Farland, Tracy Hickman, James Artimus Owen, Kristine Kathryn Rusch, Peter David, Kevin J. Anderson and a collaboration between popular game designer Peter J. Wacks (Cyberpunk, Interface Zero) and prog-rock recording artist Mark Ryan (whose first Vizuddha album had 2 million downloads). This truly is one of the best bundles we’ve ever featured, both in terms of the amount of talent assembled and their respective books. We encourage you to click on each cover and explore each title, and we’re sure you’ll find much to enjoy inside each of their offerings. The Bundle is available for a very limited time only, via http://www.storybundle.com, and allows easy reading on computers, mobile devices and Kindles via file transfer, email, or other methods, with multiple DRM-free formats (.epub, .mobi) available for each book. Give to worthy causes: Bundle buyers have a chance to donate a portion of their proceeds to charity. We’re currently featuring the Challenger Center, Mighty Writers and Girls Write Now.